Choose Express, Standard, or Pro! 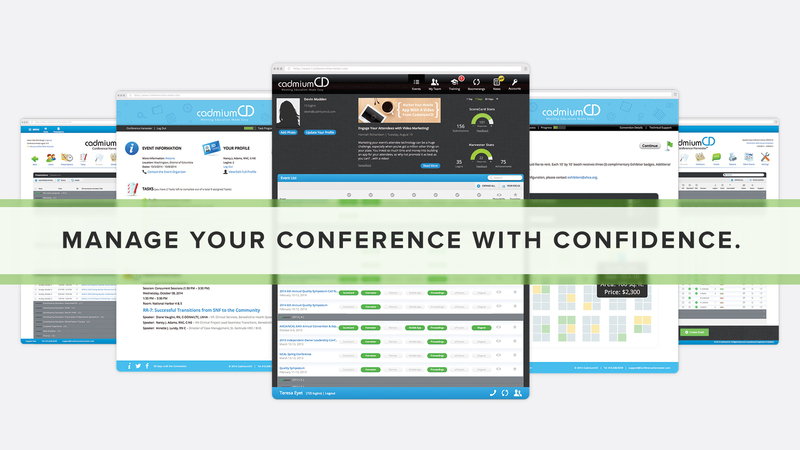 Easily manage speakers and exhibitors! Manage all your sessions and presentation details through CadmiumCD's intuitive system designed to collect information directly from speakers through a motivational task-based system. Each piece of information can be customized based on role and presentation needs. Extensive reporting is also available. Exhibitors can access booth selections and payments, upload brochures and logos, collect certificates of insurance, and create a company biography. 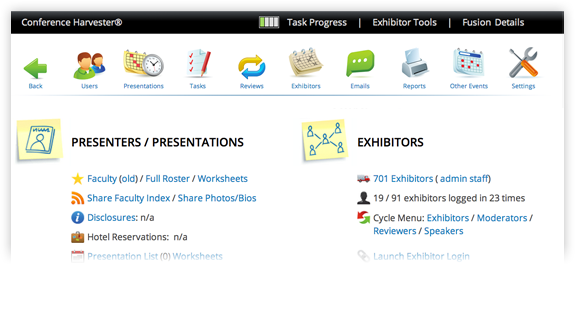 CadmiumCD's system collects and organizes these details and allows planners to quickly communicate with exhibitors. 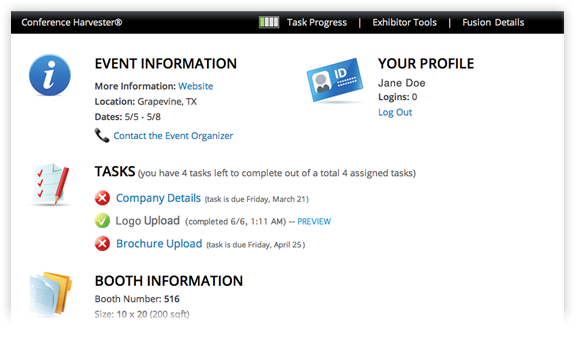 All the data is pushed to the front-end, where attendees can access it on the eventScribe website, app, and floor plan. 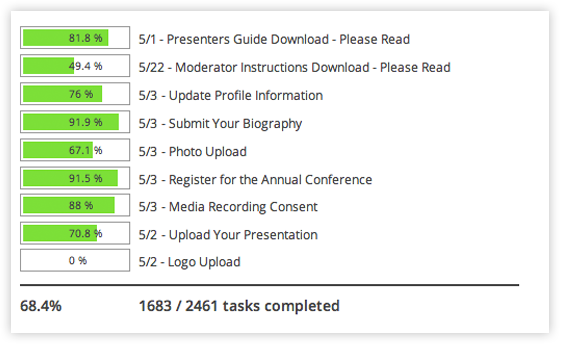 Any details about presentations can be published in CadmiumCD's eventScribe product line and are immediately updated through a powerful back-end database. Share over social media and include bit.ly links in tweets, Facebook posts, and emails. 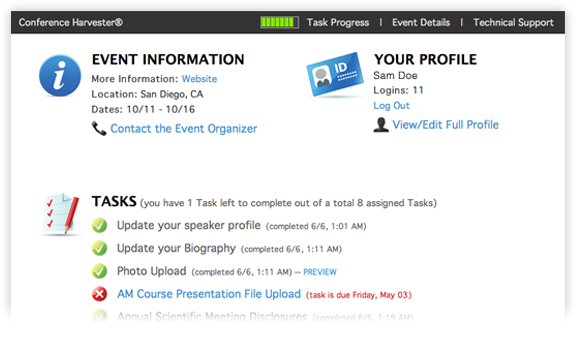 Add links to speaker photos and biographies, video references, audio presentations, handouts and slides. Customize the Harvester the way that works for you. CadmiumCD offers three tiers of plans - Express, Standard, and Pro - for both the Expo and Education Harvesters. Explore each product to find out which will work for you.